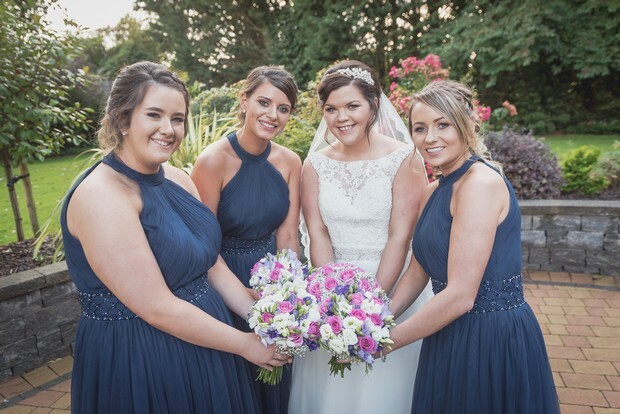 We met… Myself and Niall met 10 years ago, you could say we are childhood sweethearts as I was only 17 and Niall 18 when we started going out. 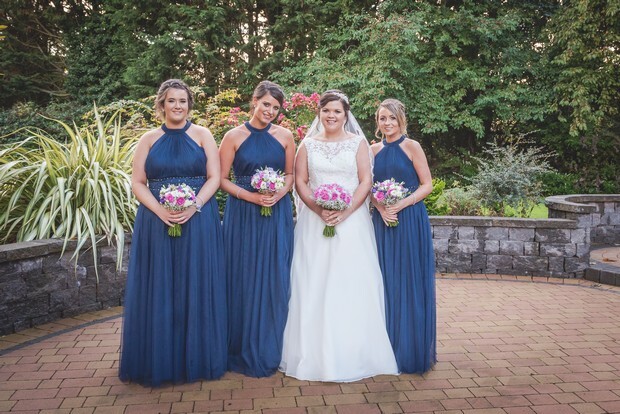 Although we went to the same secondary school, our paths never crossed until one fateful Sunday in July 2008 when we met on a train coming from a Westmeath Game in Croke Park and we bounded over our mutual love of sport. 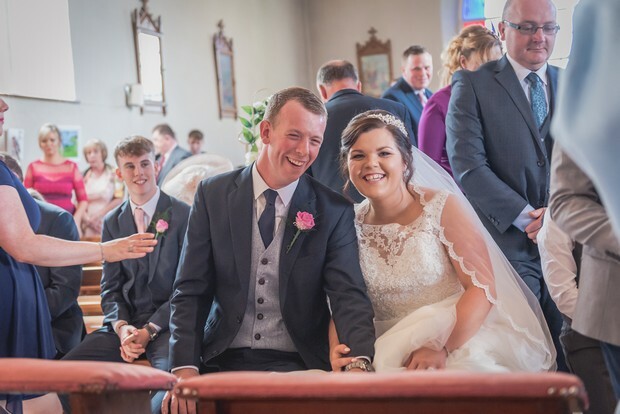 Our ceremony… took place in Ballynacargy Church in Co. Westmeath. 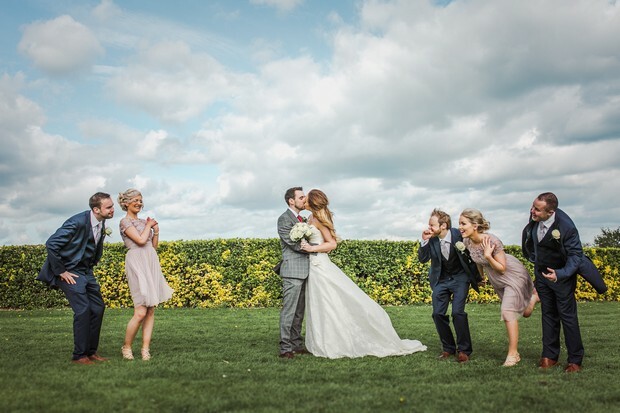 We wanted our ceremony to be personal and meaningful to us as a couple so we chose close friends to take part in the ceremony. 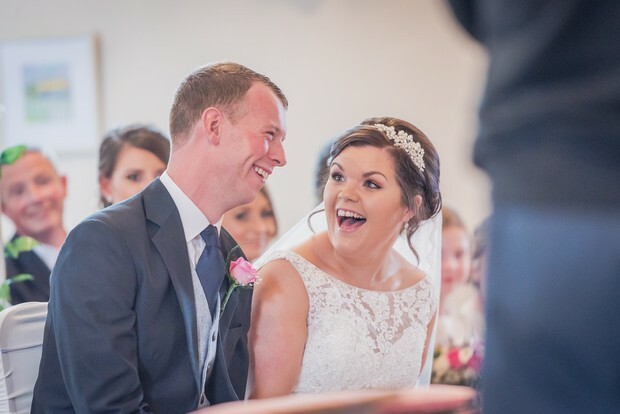 Our amazing church singer (Kerrie Penrose) did an amazing job on our song choices, I walked up the aisle exactly on time (1pm on the dot) to ‘If I Fall Behind’ by Bruce Springsteen. 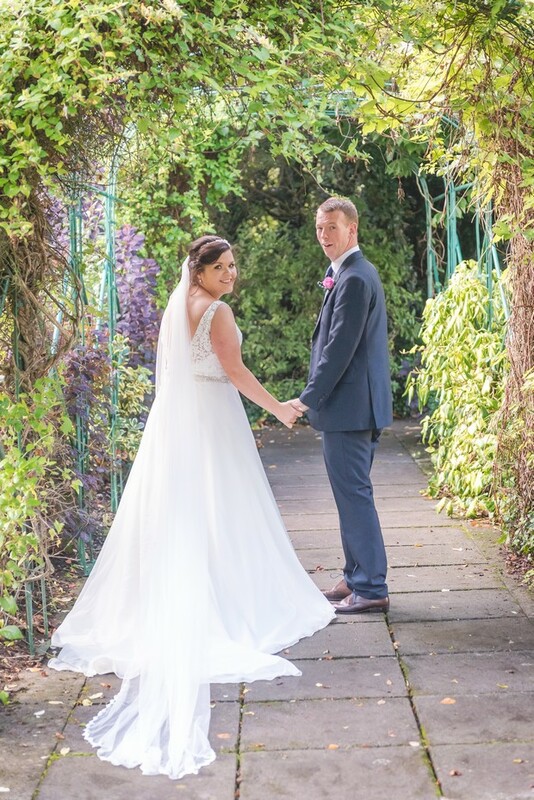 The weather was against us on the day but we were lucky enough to get 40 minutes after the ceremony to talk to friends and family over tea and cake in the church courtyard supplied by Country Tea House. 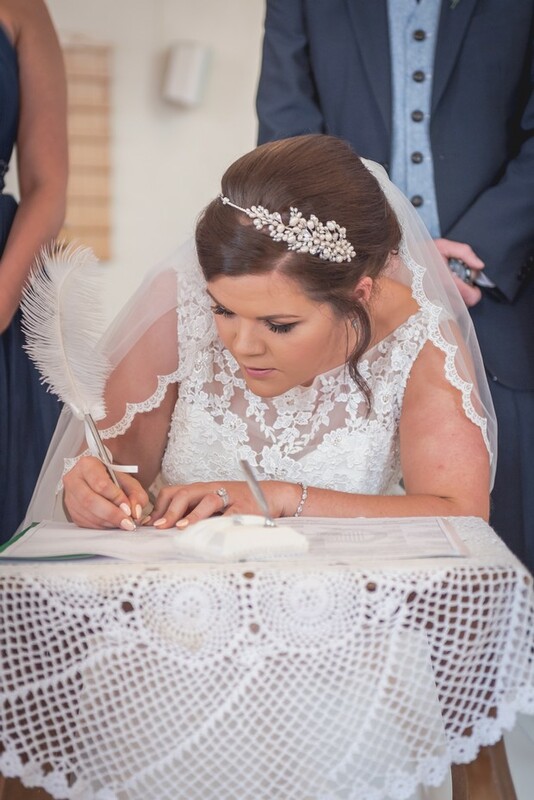 My look… I bought my MoriLee wedding dress from Abelle Bridal in Trim, Co. Meath. 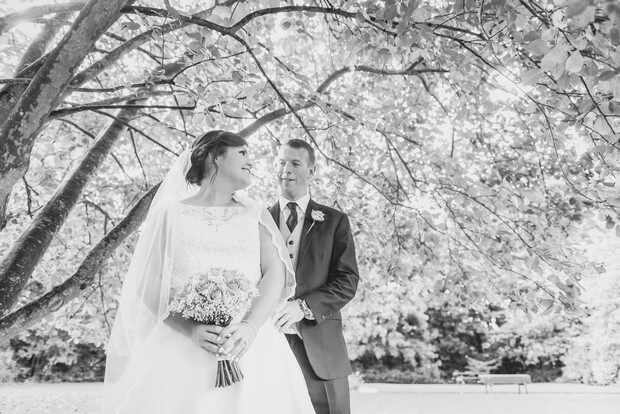 I chose an A-line style with no back and simple beading and lace to the front and finished it off with a 12-foot-long lace trimmed veil. 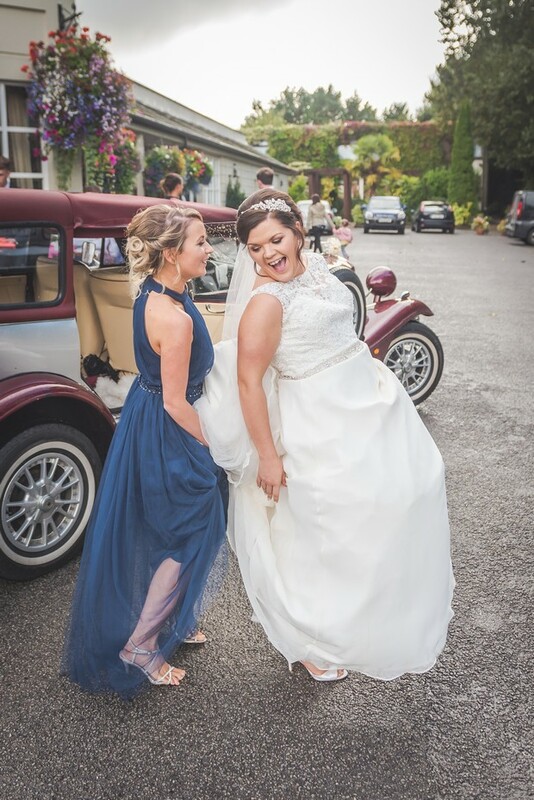 Tara Anderson was my fab makeup artist on the day and did an amazing job on all my ladies. 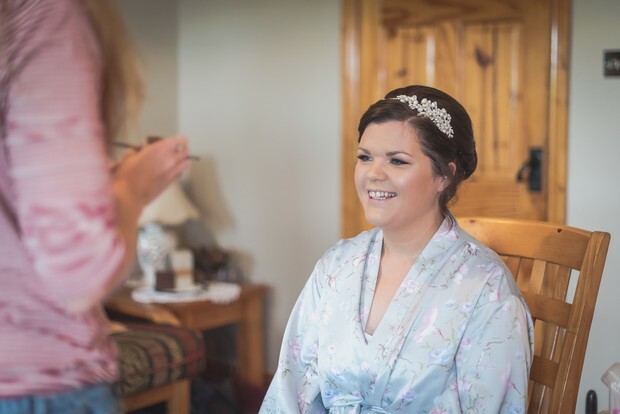 Two of my best friends Louise Allen & Maria Kavanagh (Maria Kavanagh Hair & Make up) did our hair, it was so nice to have close friends so involved with the beauty preparations and made the wedding morning so relaxing. 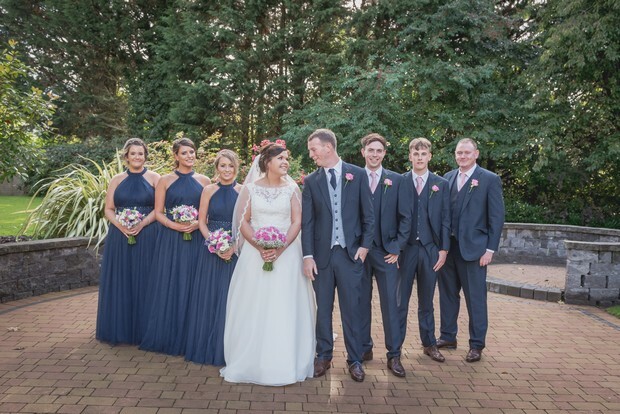 His suit… Niall and the Groommen’s suits were from Wilfs clothing store in Mullingar. 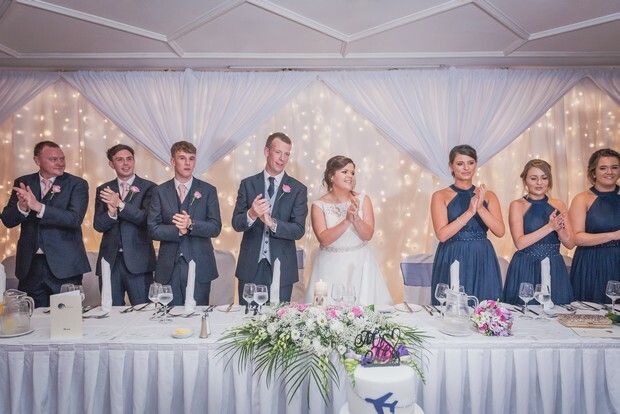 We went for simple navy suits for the Groomsmen with pink ties to match in with our flowers and Niall wore a navy suit with a tweed waistcoast and navy tie. 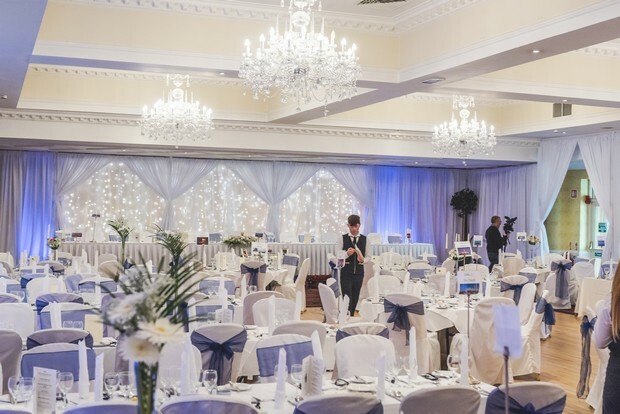 We chose our venue because… We chose the Ardboyne Hotel in Navan, Co. Meath for a number of reasons, we loved the family feel to the hotel when you arrive and the atmosphere is so warm and welcoming. Also a lot of people recommend the hotel because of the amazing food. 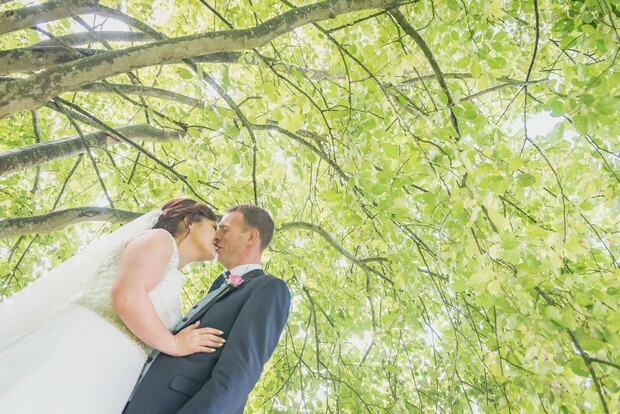 The hotel also has beautiful gardens which were ideal for our fire breathers and photographs. 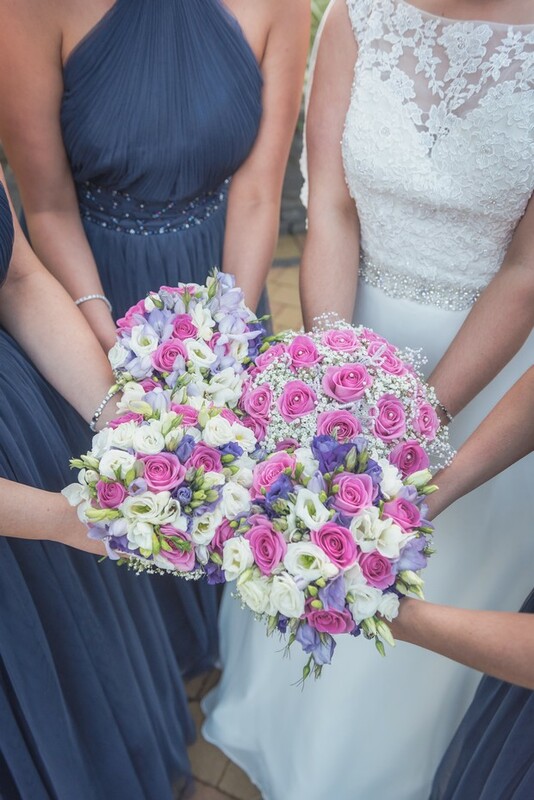 Our wedding coordinators Katie & Jo were amazing throughout the whole planning process. 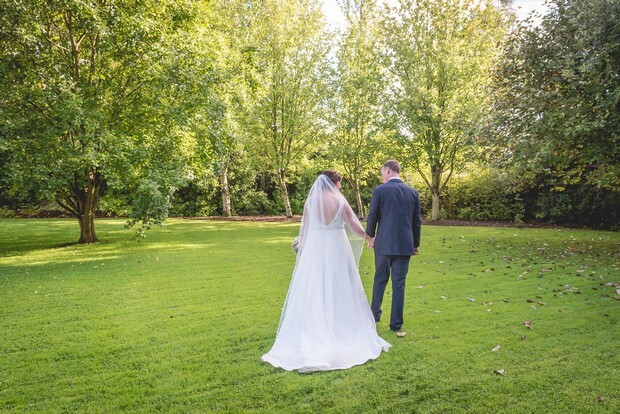 As I was living in Australia for a majority of the wedding planning, they were amazing helping me with any queries I had and were always there to reassure me that everything would be perfect on the day. 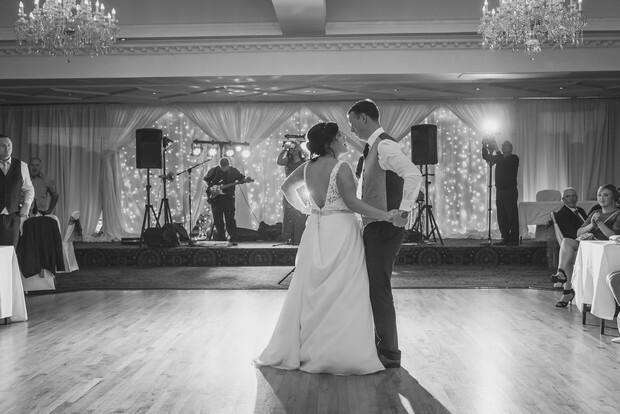 Our wedding theme/colours… Myself and Niall have a massive love for travel and over the last number of years we have been extremely lucky to travel to a number of different countries and also lived in Australia for 3 years. 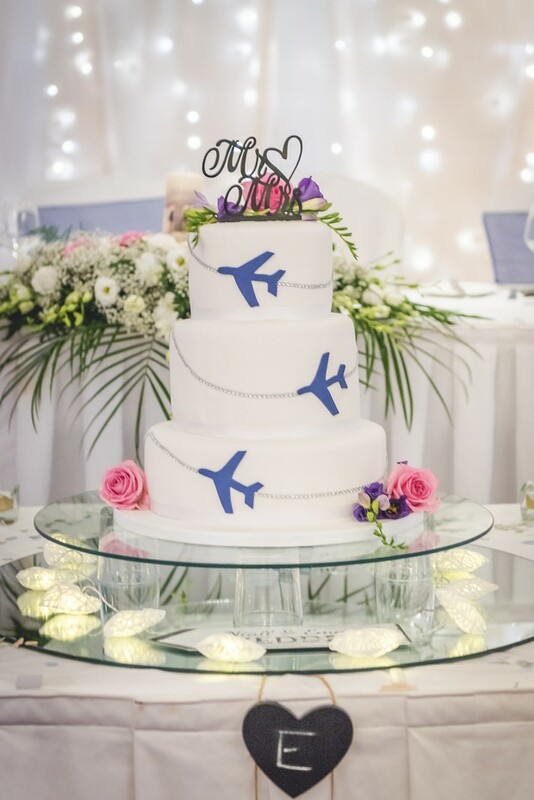 As travel was a big part of our life, we decided to have a travel themed wedding with navy and pink as our colours. 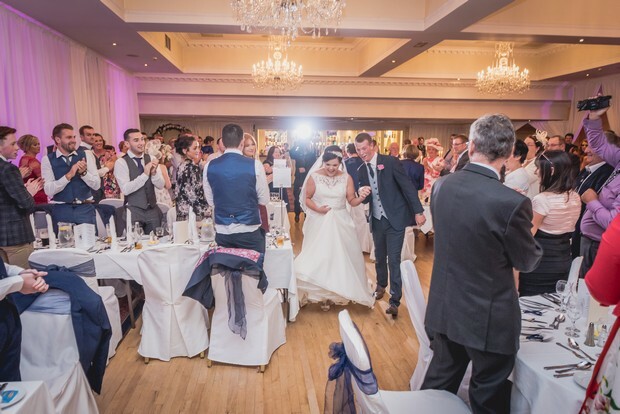 Our wedding invitations were postcards of the world and also our table names were countries we have visited together with pictures we had taken. 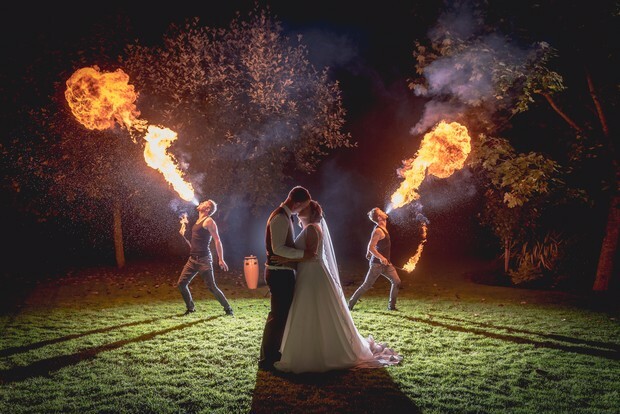 As we had travelled Thailand in the lead up to our wedding, we decided to have fire breathers as a surprise for our guests that evening, everyone really enjoyed the performance and lots of people told me it was a unique touch to the day. 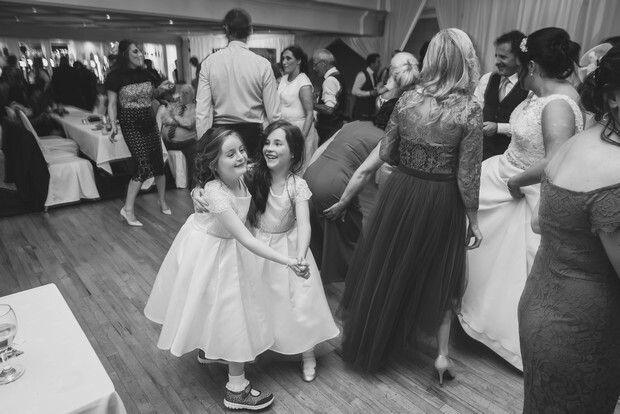 My favourite part of the wedding day… The day seems to go by so fast and I have many favourite memories and moments from the day, but when our priest Fr. 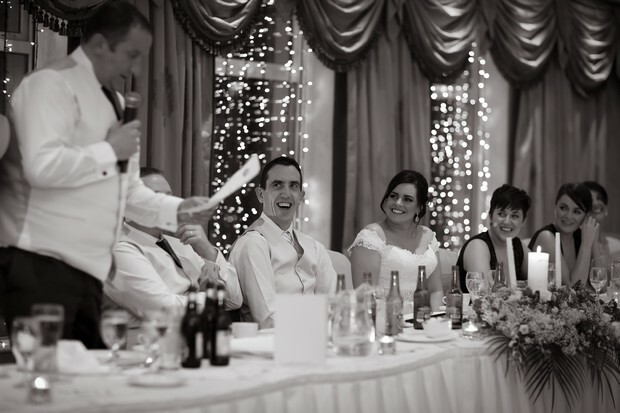 Nally announced us as man and wife for the first time, that is something I will never forget. 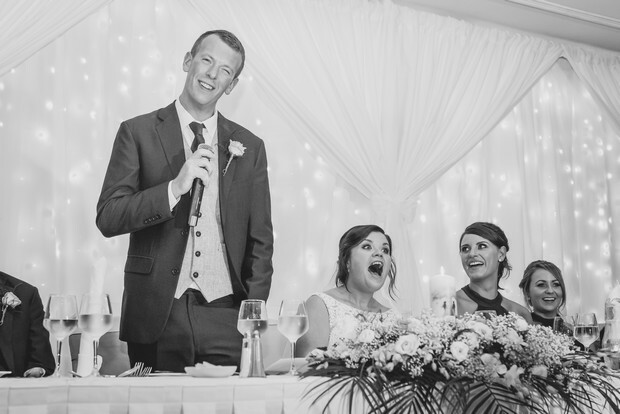 My piece of advice for other couples… I wish I had listened to friends and family when they told me not to stress and everything would be perfect on the day, the stuff you spend hours stressing over you won’t even look for on the day.